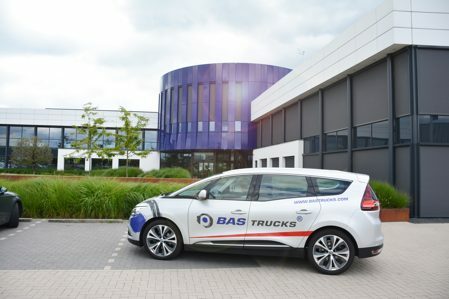 If you want to visit BAS Trucks you can use our Shuttle Service. Our driver is available from Monday to Friday to pick you up or take you to several airports and train stations nearby (within The Netherlands, Belgium and Germany). Our Shuttle Service offers you a comfortable and pleasant journey to our showroom. You can reserve our Shuttle Service easy and fast, and with our competitive prices you avoid the high taxi costs. Your journey will be scheduled up front, so you'll have a pleasant and certain journey. Do you want to use our Shuttle Service? Contact us at least 2 working days before your visit and we will make sure our driver will be waiting for you when you arrive. Below you can find our competitive prices for some of the often used destinations (one way trip). Please contact us for the possibilities and prices of other destinations. Will your visit to BAS Trucks take several days? Use the BAS Trucks hotel, only 200 meters away from our showroom. Do you want to use our Shuttle Service? Contact us at least 2 working days before your visit.